To donate to The Fed’s Pesach appeal, please scroll to bottom of this article and follow the link. “LONELINESS is a curse,” says 92-year-old Irene. Irene* is one of many people in the community who receive help from The Fed’s Volunteer services team. “You get days when you don’t see anybody at all,” she continued. “I live on my own. “The people who come from The Fed have been absolutely brilliant. If it wasn’t for them, I wouldn’t see anybody at all. Last year, the government announced a new strategy to combat loneliness among older people. According to some reports, more than 200,000 older people have not had a conversation with a friend or relative in over a month. The scourge of loneliness is not new to The Fed and the battle to reduce it is part and parcel of our daily work with people of all ages, not just older people. 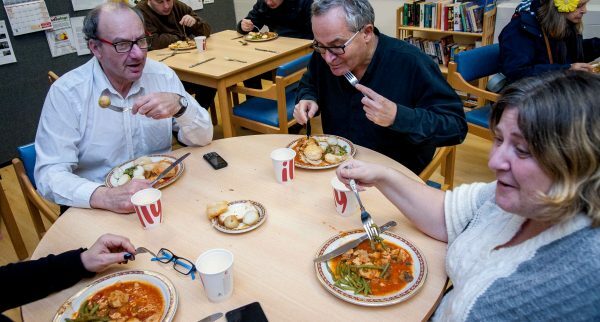 The focus of our Pesach appeal this year is on combating loneliness, and breaking the chain of total isolation that can befall anyone, at any time. People from all walks of life can suddenly find themselves isolated, as family move away, as they face redundancy or marriage breakdown. In some extreme cases, loneliness can take over a person’s entire existence – destroying their self-confidence and leaving them craving human contact. The Fed’s Community Advice and Support Team Manager, Sara Ogden-Thompson, explains further. “One of our clients, Mrs Green*, has no family of her own at all. “Both her boyfriend and her brother have died, and she was completely alone, without any human interaction for weeks on end. “Distressed, and in need of complex mental health support, this lady would call our offices sometimes 50 times in a single day, desperate for someone to relieve her utter loneliness. Our incredible team of Volunteer’s don’t carry out their duties simply to help others, however. One such volunteer is Debra Fried. To help combat her own loneliness, the 52-year-old Mancunian helps others deal with their problems every Thursday in the Purple Room Community Centre at Heathlands Village. In fact, her entire week hinges on the time she spends at the Heathlands Village-based venue. She said: “You walk into the mental health drop-in centre and everybody greets you. The mental health Drop-In offers a place to socialise, a warm evening meal, a varied activity programme plus advice and support. It is held two evenings a week in the Purple Room. Debra continued: “It’s nice to know that you can be there for someone who is going through a similar thing to you. “The spectre of loneliness is always there, and you can’t avoid that – I tend not to go to barmitzvahs or weddings anymore because I dread coming home. We are also a support for a number of clients in South Manchester, many of whom wanted to remain independent but felt totally cut off until The Fed stepped in. “One of our clients in the south is a lady who survived the Holocaust,” Sara continued. “She knew nothing at all of The Fed and was completely removed from the community. But loneliness is not limited to adults and older people. Children with disabilities can find themselves ostracized by their peers because of their differences, and can grow up having never being invited to a sleepover or to play after school. Parents too feel the pain of their child being ostracized and can feel like the odd one out in the playground at pick-up time. 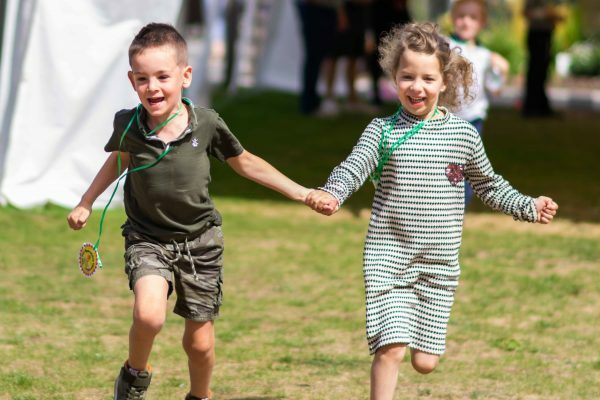 “We take for granted that all children grow up making friends and regularly mixing with other children but sadly that’s not the case for many children with special needs. We hold birthday parties – some of which are the very first that children have been invited to, be it their own or someone else’s – and we create a space where every child feels welcome, included and has a sense of belonging. Regular phone contact, befrienders to rely on, a listening ear and a shoulder to cry on – The Fed provides the full package to those most in need. “One gentleman – a man in his 50s – recently celebrated a birthday,” said Sara. “He called us shortly afterwards, thanking us for the card we sent him. It was the only one he received. “Research shows that loneliness is a bigger killer than smoking, or addiction to alchohol. Our aim is to make sure nobody ever feels like they have no-one to turn to. To support Irene, Mrs Green, and hundreds of others, click here. Thank you for helping us to continue supporting them. This article was originally featured in the Jewish Telegraph and has been reproduced and edited here with permission.